On February 1, 2017, the State enacted N.J.S.A. 2A:17-56.67. This new law automatically terminates child support when the child gets married, dies, enters the military, or at age 19. Before this law, child support would continue until the parties agreed to terminate it or when a Court ordered that it be terminated. This became problematic in cases where a parent was paying child support through Probation. For those of you who don’t know, Probation is a Court sponsored program that collects child support payments. Before this law changed, there were many cases where child support should have been terminated, but Probation kept on collecting child support. Even if the parents agreed that child support was terminated, the Probation account would remain open and continue to accrue arrears. 3. The child receiving support is in an out-of-home placement through the Division of Child Protection and Permanency in the Department of Children and Families. So, what happens when your child is about to turn 19 and you are receiving or paying child support through Probation? If child support is being paid through Probation, both parents will receive a “Notice of Proposed Child Support Obligation Termination” letter six months prior to your child reaching age 19. This letter explains that child support will terminate, unless your case falls within an exception listed above. If Probation does not receive a response to the first “Notice of Proposed Child Support Obligation Termination” letter, another request will be sent 90 days prior to your child reaching age 19. If a response is still not received, child support will terminate upon your child reaching age 19. Therefore, it is very important that Probation has your current address on file. It is also very important that you pay attention to the Notices that you receive in the mail from Probation. What if Your Case Falls Within an Exception? 3. Your child has a physical or mental disability as determined by a federal or state agency that existed prior to the child’s reaching the age of 19 and requires continued child support. When completing the “Request for Continuation of Support” Form, you must provide the reason you are requesting child support to continue. You must also provide supporting documentation for your request. For example, if your child is still enrolled in high school or is attending college full time, you must provide documentation from the school confirming your child’s attendance. If proof is not provided, Probation may reject your request for child support to continue. If this occurs, you will need to file a Motion requesting to reinstate child support. A Motion is an application to the Court requesting the Court to order a specific form of relief. In this case, it would be for continuation of child support. All requests for child support to continue must be received by Probation no later than 45 days prior to your child turning 19 years old. If not, your request for child support to continue will not be considered. Thereafter, child support will terminate when your child reaches age 19. If child support is terminated for failing to respond to Probation’s letter or responding too late, a Motion must be filed to reinstate child support. In the Motion, you must detail the reason why you are requesting child support to continue and the reason it was terminated. What if Your Case Does NOT Fall Within an Exception? If your case does not fit into one of the exceptions above, you can still file a Motion with the Court and claim “exceptional circumstances.” An “exceptional circumstance” could be anything you feel a Court should consider when deciding if child support should continue beyond your child’s 19th birthday. If the Court determines an “exceptional circumstance” exists, it will enter an Order stating child support will continue. However, this will only continue until a child reaches 23 years old. In some cases, a child may require support beyond his/her 23rd birthday. If this occurs, a parent will need to file a Motion with the Court requesting for support to continue. 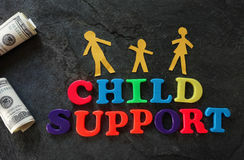 However, if support continues, it is not labelled “child support.” Instead, it is called “Financial Maintenance.” The difference between child support and Financial Maintenance is that Financial Maintenance cannot be enforced or monitored through Probation. Any support after a child reaches age 23, must be paid directly between the parents. What if You Have More Than One Child? An additional concern you may have, is how child support is affected when you have more than one child. In these cases, if child support is unallocated (meaning a specific dollar amount for child support is not provided to each child), the child support amount will remain the same until your youngest child reaches age 19. If the non-custodial parent wants to reduce his/her child support obligation due to a child’s emancipation or a termination of child support for one child, he/she will have to file a Motion. This statute only effects all cases where child support is paid through Probation. It does not matter whether your case was entered prior or after the enactment of the statute. If you and the other parent agree for child support to continue beyond your child’s 19th birthday or even your child’s 23rd birthday, you can. However, if one parent seeks enforcement through Probation, it will be prohibited. Are the Termination of Child Support and Emancipation the Same Thing? When this law initially passed, there was a lot of confusion about how it would affect child support going forward. Many people were incorrectly though that the termination of child support by Probation meant that a child was emancipated. Please note that this law does not change the emancipation laws. It was simply designed to be an administrative/procedural law to direct Probation about how to properly administer its child support accounts. Prior to this law, child support could continue to be paid through Probation indefinitely, even beyond a child’s emancipation. There were open child support cases where children had been emancipated for years, but their child support account was still open. This law is designed to make sure that can no longer occur. It is important that you consult with a family law attorney who understands this law and advises you on what to expect when your child reaches age 19. In some cases, it is important to include language referencing this law in your final settlement agreement.